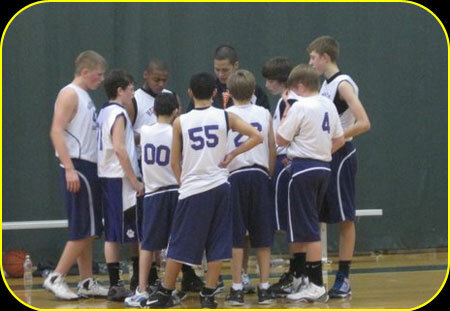 The Hermiston Basketball Club Program was started in the fall of 2006, as a group of AAU teams and the Hermiston School District found the need to organize and give all area children easier access to more youth basketball programs. We needed a way to get more players involved and organize available gym facilities. We envisioned a program with more AAU players and teams at every grade level; more structured and organized participation; coaches with a better skill set and more training; and promotion for the entire Hermiston Basketball Program. The Hermiston Basketball Club program will encourage coaches to take time during practice to teach and lecture on things such as: positive attitudes, personal commitment, teamwork, determination, respect, honesty, academics, citizenship and of course, the fundamentals of basketball and athleticism. We hope the program will continue to grow in the years that come. Recently, we have added Hermiston Youth Basketball Association (HYBA) under our umbrella. We hope to offer recreation levels through HYBA and more competitive teams with AAU. We also encourage volunteerism through players and families through our work with the annual "Hermiston Takin it to the Streets 3-on-3 Tournament", the annual "Autumn AAU Basketball Classic", the annual "Holiday Hoop Classic", the annual "For the Love of the Game" and the "Best of the West Tournament". The Hermiston Basketball Club hopes all of the players will walk away from our program not only better basketball players, but also better citizens within our community. We thank you for your participation, support and dedication to our program! If you are interested in forming a team, coaching, or finding a team for your child, please click the link to the player information located on the AAU or HBC tab of our home page.